My garden — I have a small container garden on a 12th floor balcony that has around 20 square feet of space planted. The balcony faces west, but is covered, so I get a maximum of 6 hours of direct sun in the summer (and sadly none in December and January). Atlanta straddles the hardiness zone line at 7b/8a. You can see weekly garden updates in my Instagram stories on Thursday mornings. My sugar baby watermelon continues to grow! The lavender I planted from seed is growing well after being transplanted. 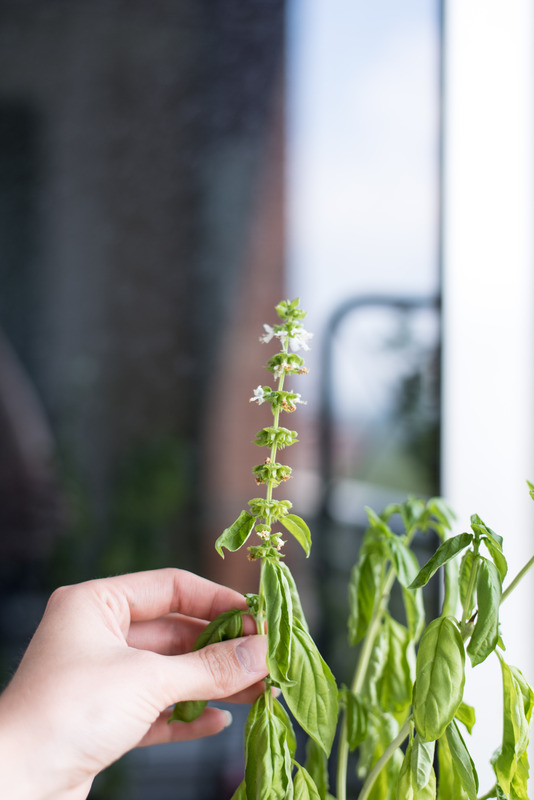 My basil is growing quite well. 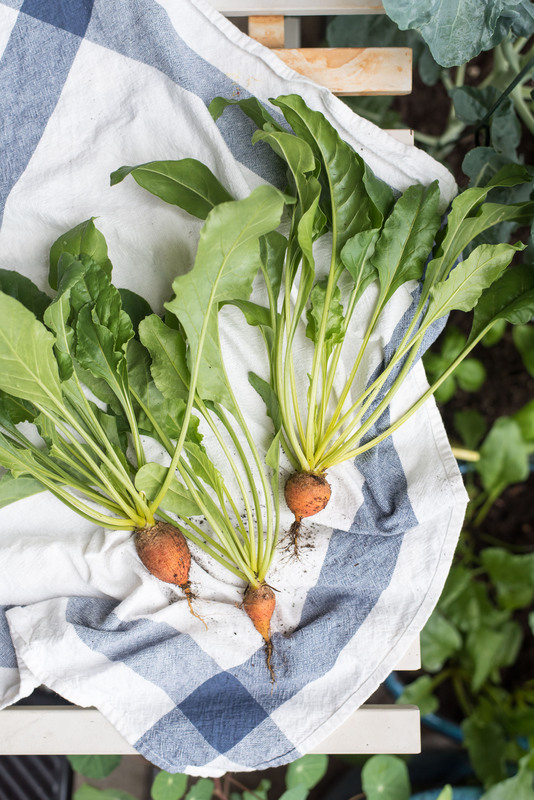 Between 6+ plants, I can usually harvest enough for dinner when I want it. The hummingbirds have returned! My little friends flit about several times a day, both at the hummingbird feeder and around my flowering herbs. My broccoli plant is still growing, and I’m hoping the well established roots mean it can grow a nice head of broccoli when the weather cools down a bit. 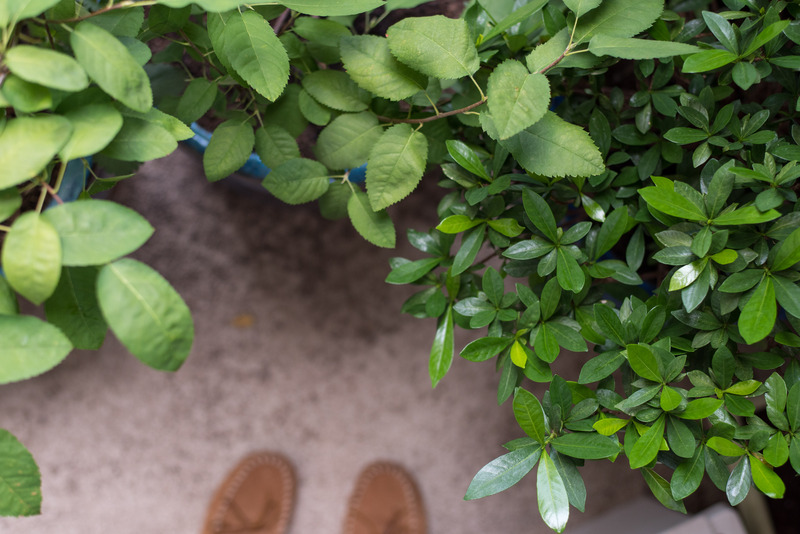 My gardenia plant is thriving after replacing the soil (it hadn’t been replaced in 3 years, oops!). Bizarrely, my strawberry plant started producing more strawberries a good 2 months after it finished producing in late spring. I’m not sure why, but I’m excited about more berries! Sugar baby watermelon and a bee! Cucumbers often have to be cross pollinated, meaning the pollen from the male flowers needs to get into the female flowers, where the cucumber will form. 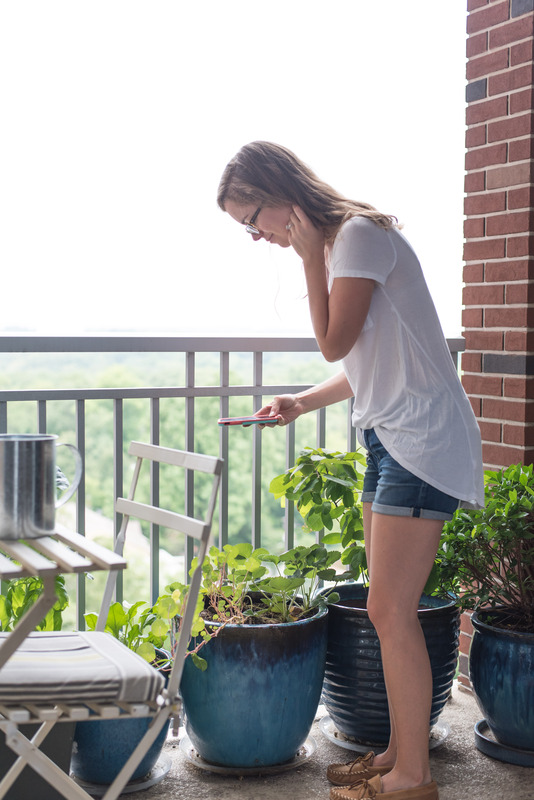 Because I’m up on the 12th floor, I don’t have many pollinators (bees, etc) doing the work for me, which means I have to hand pollinate them. 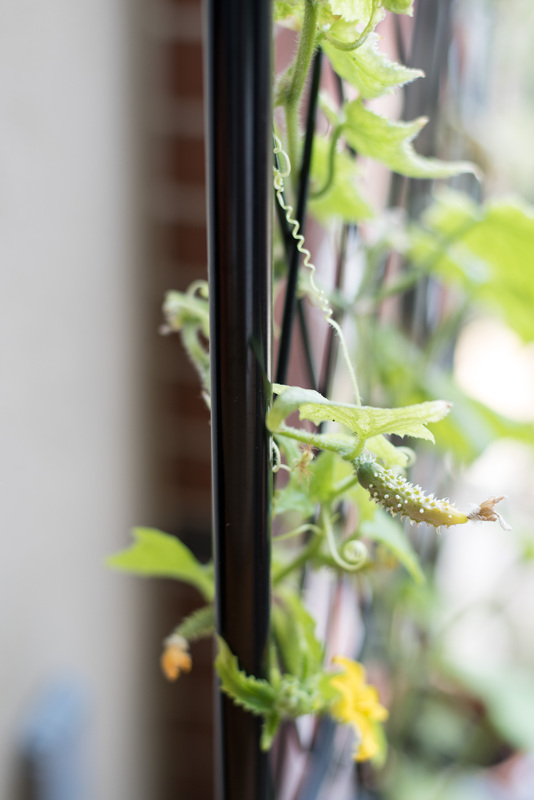 I don’t think my cucumbers are getting properly pollinated because they’re shriveling up and not developing into mature fruit. I guess time will tell if it’s user error or another problem (the seeds are kind of old, so that might be it). Spider mites have plagued my melon and squash plants all summer. Neem oil helps a little bit, but I have to be careful because it will burn leaves in sunlight. I try to manually smash them and/or spray them off with water, but that only helps somewhat. My asparagus fern died almost overnight, and I’m not sure why. RIP. Water plants in the early morning and/or evening, especially during hot months, to avoid evaporation. 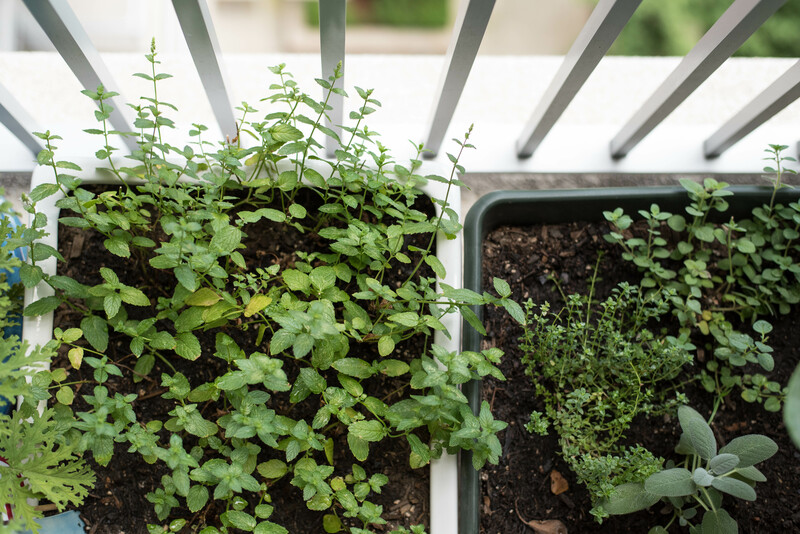 Harvest herbs from the top, just above a set of leaves. This will help it branch out and continue growing. 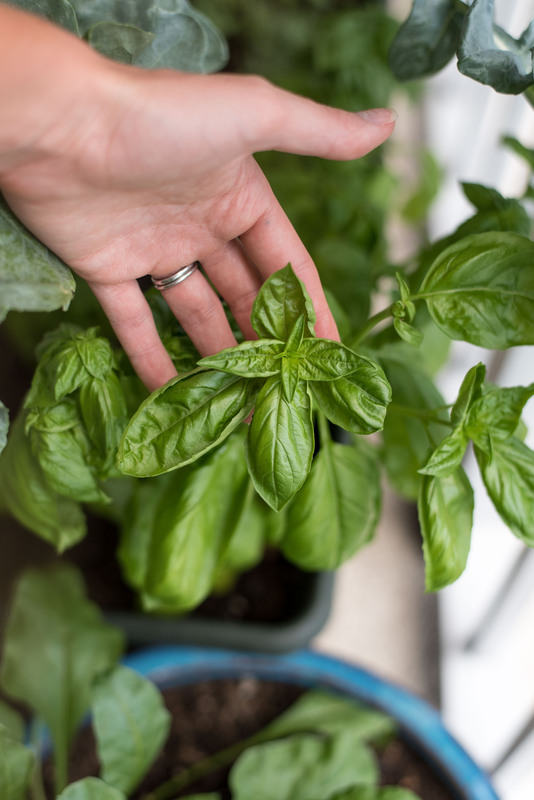 Herbs like mint and oregano love to spread, so give them plenty of room. 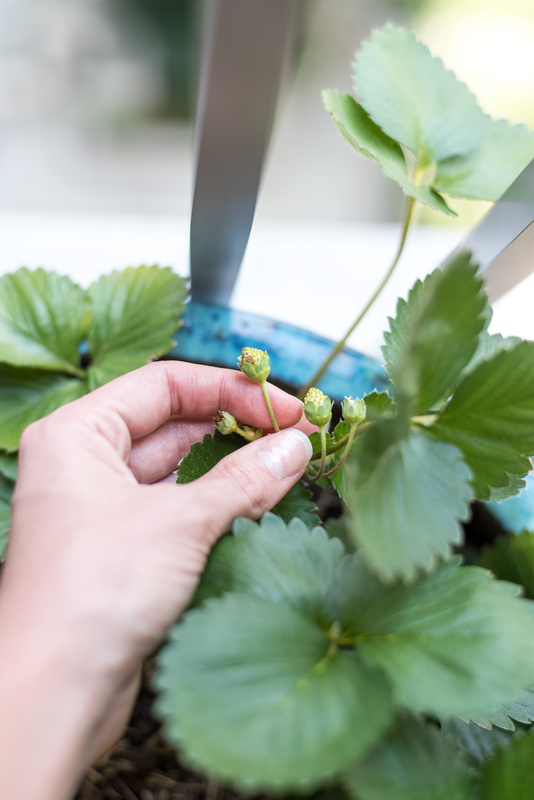 Let your strawberry plants grow runners after they are finished producing fruit. This will establish new plants for next year, which means more strawberries! 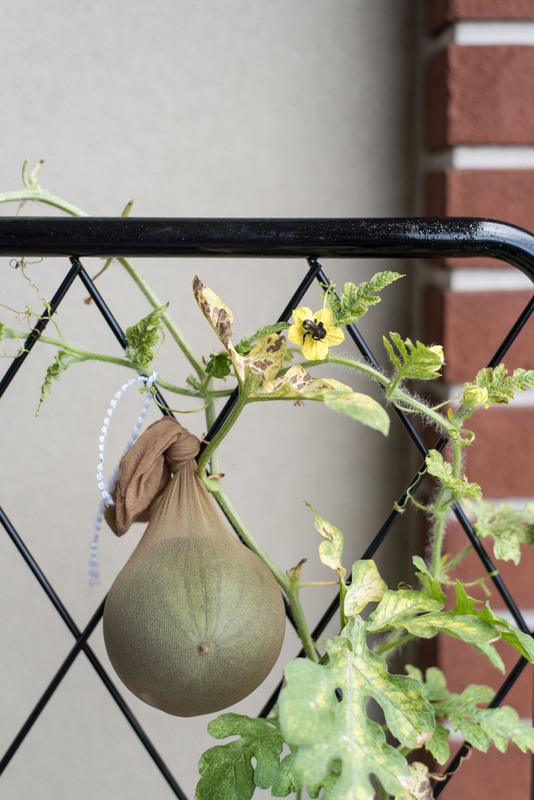 Support heavy fruits or vegetables on a trellis with a piece of pantyhose or other breathable/flexible material that can grow with the produce.